Susan Bolitzer helped found and is president of the Esopus Creek Conservancy, a new land trust in Saugerties, Ulster County. 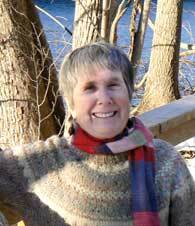 Uniting landowners, municipalities and conservationists, she spearheaded creation of Esopus Bend Nature Preserve. The 161-acre property features a freshwater wetland, forest and 6,400 feet of frontage along Esopus Creek.